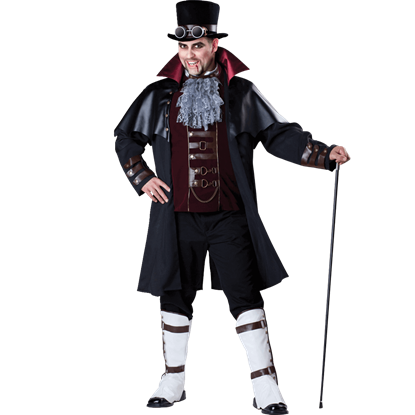 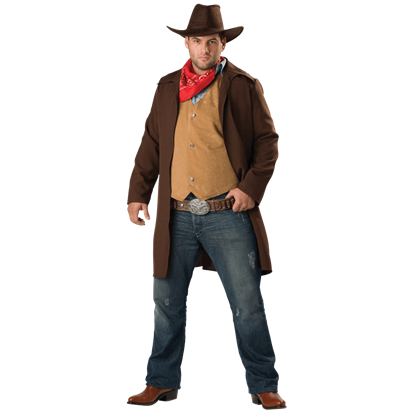 The Neo-Victorian style of steampunk is well-suited to the tastes of a vampire, which is why the Mens Steampunk Vampire Plus Size Costume works so well. 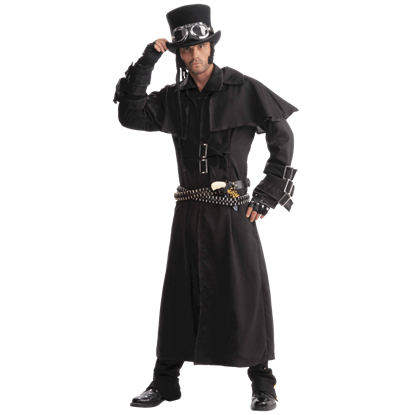 It combines a little bit of classic horror with steampunk eccentricity! 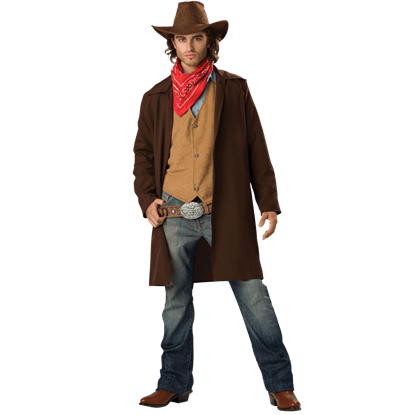 Dressed in this coat, you will be one tall, dark Steampunk stranger. 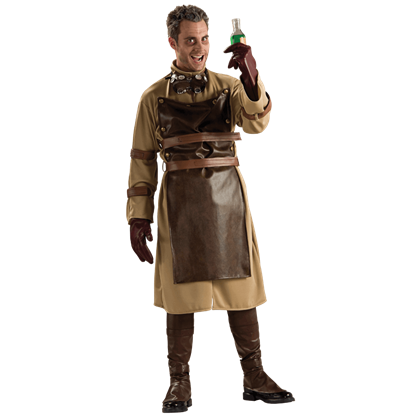 Featuring truly impressive styling, the Steampunk Duster Coat makes for a great addition to a variety of Steampunk looks, adding both style and additional layering. 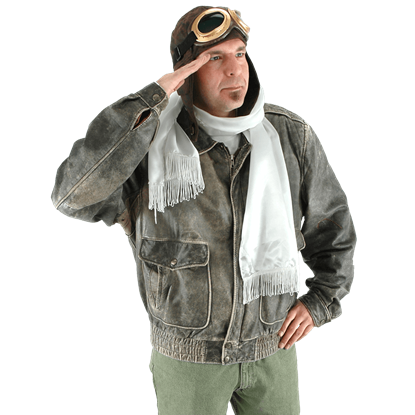 Dressed in this costume, you will look ready to lead your troops against whatever force challenges your beloved Steampunk utopia. 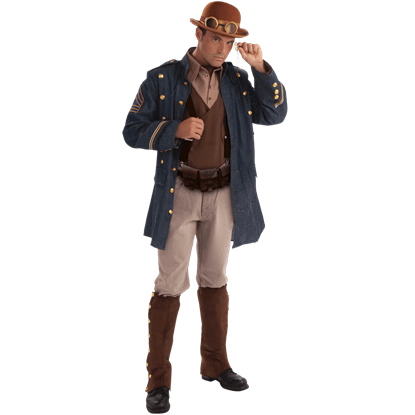 From the buttons to the stripes, the Steampunk General Costume has the look of a military uniform. 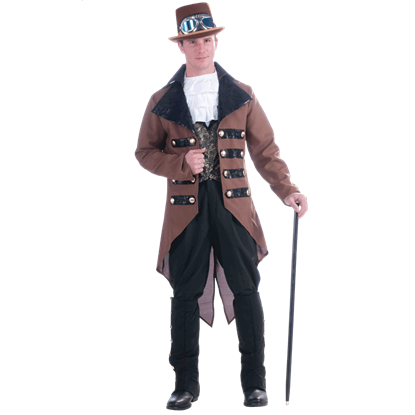 You will look like the epitome of Steampunk gentry when you put on the Steampunk Gentleman Costume. 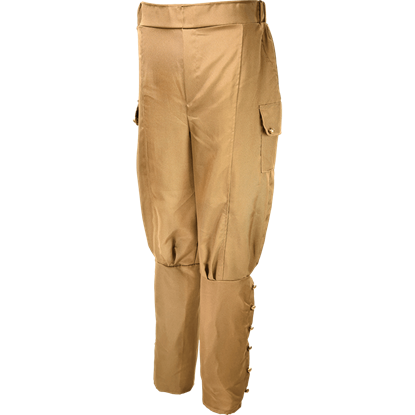 The stylish cut of this jacket and the combination of riding pants makes this the complete look of an ideal Steampunk gentleman. 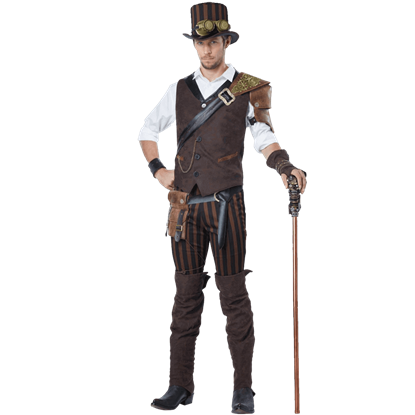 Your first foray into a Steampunk world can be quite intimidating, especially if you do not know what to wear. 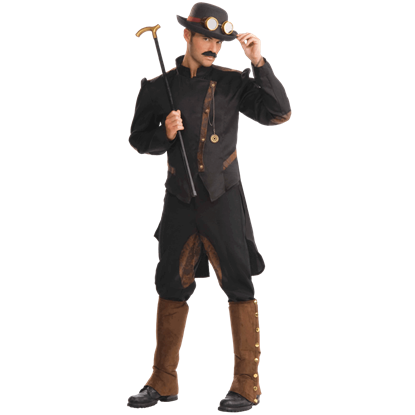 Luckily, this Steampunk Jack Mens Costume is just the thing for any adventurous gentleman to wear and look great in.